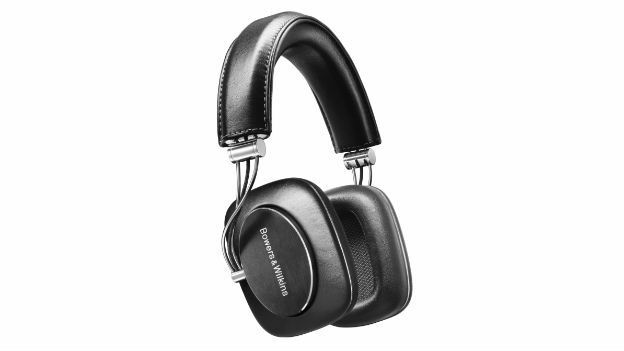 The P7 headphones are the first over-ear cans from Bowers and Wilkins and feature ear pads encased in leather with a dual-cavity construction that helps them mould to the contours of the wearer's head. Luxury indeed. The premium goodness doesn't stop there; all the moving parts are constructed from brushed and stainless steel while the logo plates on each cup are made from brushed aluminium. B&W has produced a new drive unit for the P7s, modelled on a traditional hi-fi speaker, with more space to let the diaphragm focus on generating sound. Similarly, a lighter voice coil, made from an aluminium-copper compound, lets the drive unit move more freely for better high frequency performance. And, because these 'phones are over-ears, there's the added noise cancellation of the ear cushions that will envelop you in a warm, comforting cocoon of noise. Unfortunately, these headphones came out too late to make it into our Headphones of the Year shortlist for this year's T3 Gadget Awards presented by Ford SYNC. But don't let that put you off voting for the other excellent products that made the cut. Of course, given these are B&W headphones, they don't come in cheap. A pair of the new P7s will set you back £329 when they go on sale later this month.